Wow! Is the first word that will come off your lips the minute you view this home. I guarentee it. Louisville homes for sale pale in comparison to this home. As your family steps through the doors of this home they will simultaneously go into their own worlds as they imagine themselves living in this home. 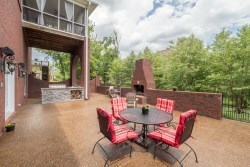 If you are looking at luxury homes in louisvilleky, you definitely want to see this home. 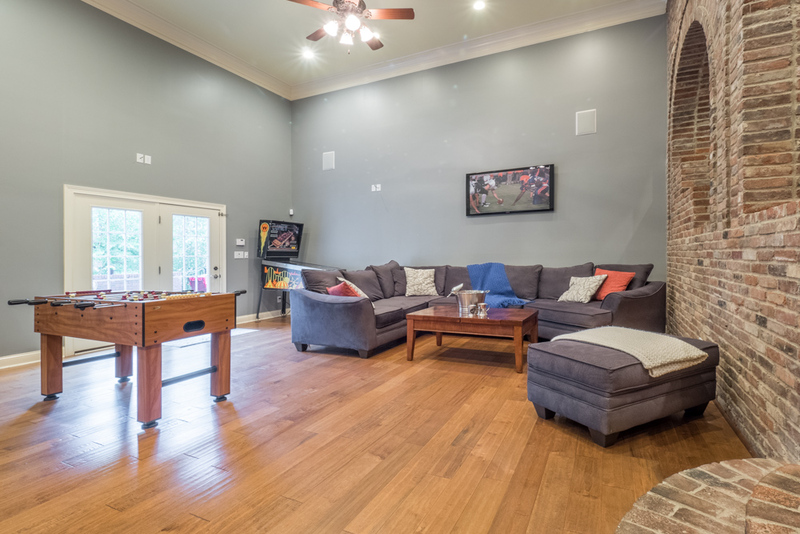 This home boasts an impressive 5 bedrooms and 4.5 bathrooms. The master bedroom features a vaulted trey ceiling, a large master closet, and the bathroom is exquisite. It includes a whirlpool tub, custom shower featuring a glass enclosure, and a dual sink vanity with a granite top. Two of the other bedrooms include a Jack-n-Jill bathroom. The kitchen, breakfast nook, lounge, dining room, and off kitchen screened in porch flow effortlessly into each other. In effect they are one large living and enteraining space. 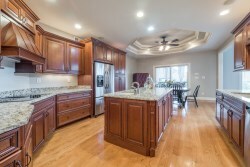 The kitchen features stainless steal appliances, granite counter tops, and a built-in prep sink within the island. 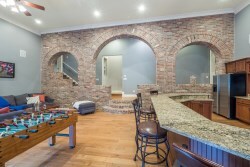 I'm sure you are already amazed at this home, but I have not even started on the basement. This is a one of a kind basement. Incredibly it has 16 foot ceilings and scraped hardwood floors. The large bar seats 12 people and includes a kitchen with stainless steel appliances, granite counter tops and upgraded cabinets. This is side by side a large lounging area with TV. 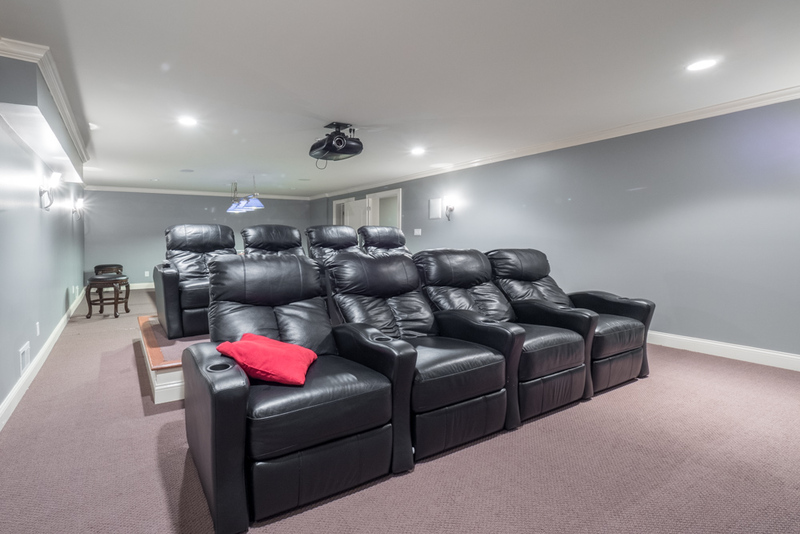 There is also a theater room, yes a projector style theater room, with a platform for multi-level viewing. 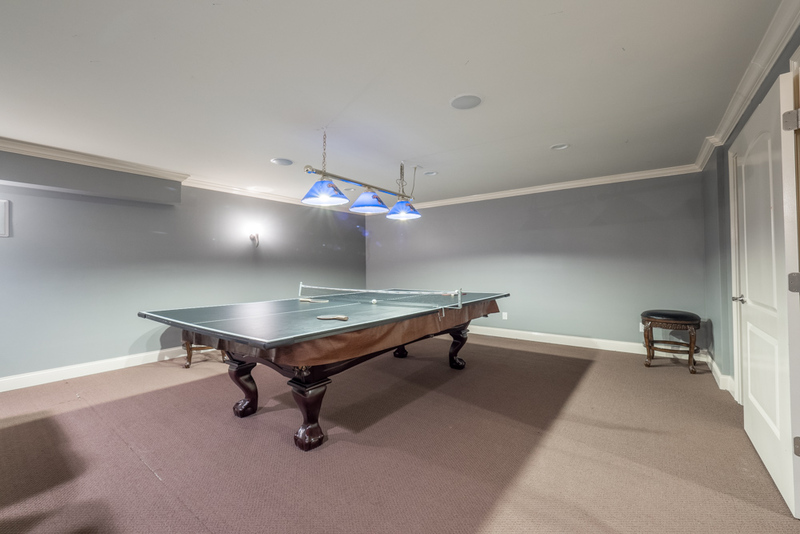 If somehow you are still bored there is an additional rec room for table tennis or a pool table. This incredible basement opens to an amazing backyard which is perfect for all seasons (unless we see serious snow this winter). 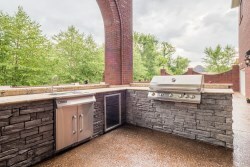 This outside space contains a gas grill for Summer grill outs, and a giant built in brick fire place for melting marsh mellows, sipping hot choclate, and hanging with friends and family in the colder months. If you are interested in this property please contact Scott Boehnlein of Family Realty.